The Pipe Stopper is a horizontal pipe sediment control device designed to prevent or reduce the movement of sediment into storm water pipes during construction. Each unit has a custom-designed filter cover that fits over the HDPE frame, much like a shower cap. 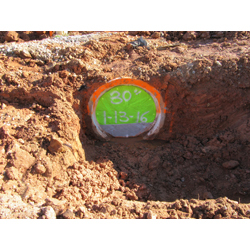 This device adds value with the reduced costs associated with pipe cleanouts required prior to final inspections.